Victoria is very grateful for being featured on the Faith Academy Alumni Page. She has been very involved in her student body at Raytown High School. 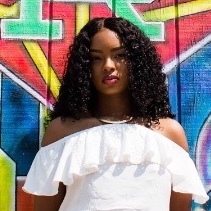 She has maintained a 3.8 gpa and earned acceptance at Dillard University, Morgan State University, North Carolina A&T State University, and Spelman College. She has been apart of multiple productions at her high school. She earned a 1 rating at State Vocal Music Contest. 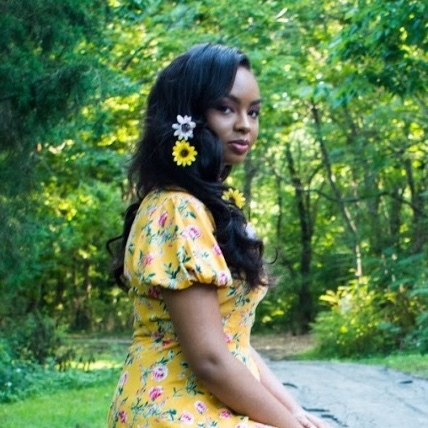 She is on the board of Raytown High School’s Chapter of National Honor Society and International Thespian Society. However, her most outstanding achievement, has been founding the Raytown High School Black Student Union. The Black Student Union is one of the first of its kind in the Kansas City Metropolitan areas high schools. She had a vision to offer the black student population at Raytown High School a place to discuss problems that face the black community and find solutions to supporting each other in the face of adversity. 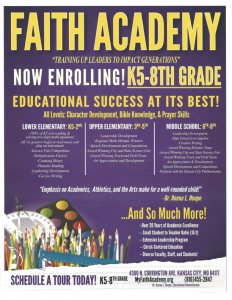 Being at Faith Academy gave Victoria to the leadership and faith to her her vision through. She prays her vision and legacy lives on through the halls of Raytown High School.